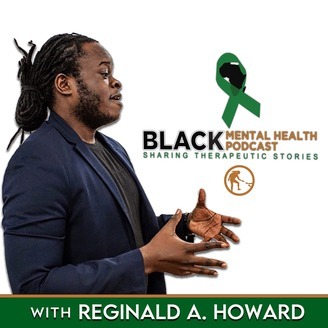 The black mental health podcast is dedicated to understanding and unraveling the mental issues in the African American community. It showcases real life stories to bridge the gap between people who feel alone in their struggles. With the stigma of therapy being a "white people thing' coupled with the cost of therapy, black people are left to deal with mental health issues on their own The black mental health podcast is here not as a replacement to therapy but as an alternative. therapy is necessary, but sometimes hearing someone else's story is therapeutic enough. it's topics range from stress, suicide, anxiety, depression, and a host of other topics. 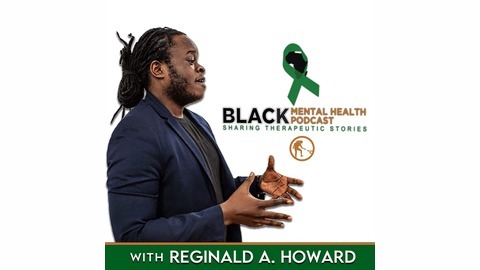 the podcast is spearheaded by reginald a. howard who has had and is still having his own battle with mental health. from cutting himself to almost jumping over a bridge he knows first hand the mental suffering that black people go through internally. he uses the podcast to deal with his own issues by helping, healing, and hearing others. We like to thank our guest: @i_amh0pe Please follow them on social! If you haven’t done so already, please take a minute and leave a quick rating and review of the show on Apple Podcasts by clicking on the link below. It will help us to keep delivering life-changing information for you every week! Reginald A. Howard understands people. His life purpose is to help others by using his natural ability to relate with anyone. His platforms are dedicated to the advancement of society by problem solving through communication. He plans to be the bridge that brings the world closer together because most problems in the world stem from lack of communication. He doesn't care who you are and what you look like he's here to help.